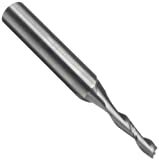 Onsrud 1/8" (Extended Length) End Mill. 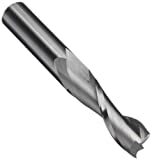 Shank: 1/4", Cut Length: 1/2", Overall Length: 3"
This is an upcut, ballnose end mill with a point geometry designed for wood, plastics, and aluminum. 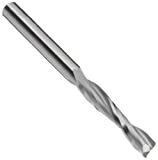 This Onsrud end mill is 1/8" inch with a 1/4" shank and an overall diameter of 3 inches. The cut length is 1/2".